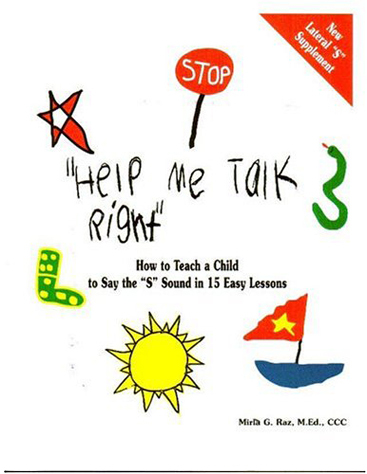 This “Help Me Talk Right” book focuses on the “r” sound. It presents an easy to follow, proven step-by-step method of correcting those pesky “r”s. All the tools and techniques you need for “r” sound correction are included. Free of technical jargon and easy to use, this book is for speech pathologists, speech assistants, and parents who wish to teach a child how to say the “r” sound and use it in conversation. 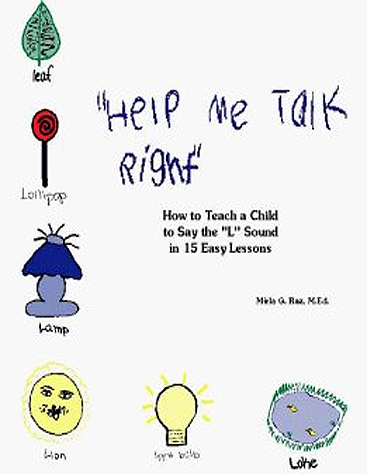 Everything you need to know about teaching a child to say and use the “r” sound is clearly shown in a step-by-step format. Each lesson builds upon the successes of previous lessons so that the child is challenged to use the “r” more often until she is able to use it in conversation. The book comes complete with worksheets, suggestions for games and fun exercises, and a certificate of achievement. 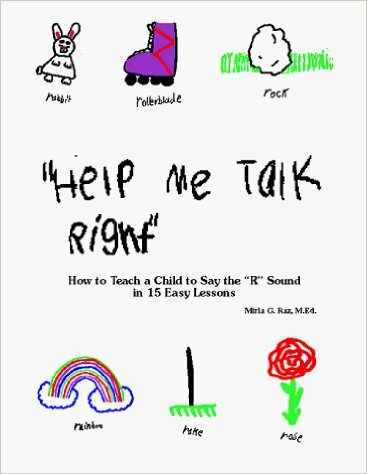 Excerpted from Help Me Talk Right: How to Teach a Child to Say the “R” Sound in 15 Easy Lessons by Mirla G. Raz. Place the mirror in front of you and the child. Look in the mirror with the child and say, “Now you are going to make a muscle with you tongue. Watch me first.” Show the child how you lift your tongue tip up and back. Demonstrate this for the child again. Now tell the child that it is her turn to make a muscle with her tongue. Tell her you will do it together first.